This sign is for Aristo. The sign’s colors are red, green, and white. 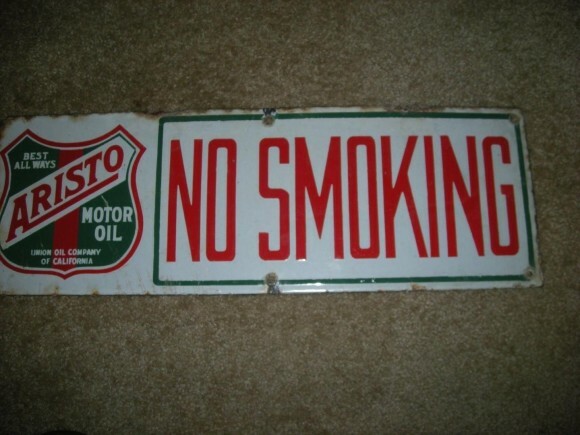 The text on the sign reads: Aristo Best All Ways Motor Oil Union oil company of California No Smoking. The sign shows text with a shield to the left.